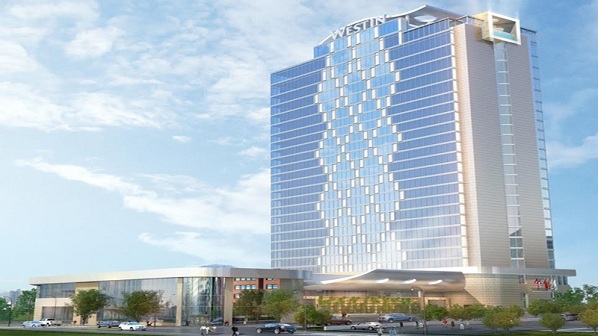 Westin Hotels & Resorts has announced the opening of The Westin Nashville in the city’s vibrant downtown district. Owned and developed by Castlerock Asset Management and managed by Wischermann Partners, property is a newly built hotel located adjacent to Music City Centre, the city’s new convention centre. “At the crossroads of music, culture and cuisine, the soul of this city has created a powerful draw to the destination; there is no better time to be in Nashville,” said Bob Jacobs, vice president of brand management, North America, Westin Hotels & Resorts. Thoughtfully-designed to capture the unconventional charm of the city, The Westin Nashville stands 27 stories high and boasts 453 beautiful, well-appointed guestrooms and suites with floor-to-ceiling windows offering unbeatable views of the city. Drawing inspiration from the vibrancy of the city while promoting an energising sense of well-being, the hotel has been designed in partnership with The David Mexico Design Group and Bullock Smith & Partners. “Our hotel is poised to set a new bar for the hospitality industry in Nashville,” said Ray Waters, general manager, The Westin Nashville. The Westin Nashville features two signature restaurants in addition to L27, the highest rooftop bar in the region, which offers unbeatable views of Nashville’s ever-evolving skyline with a luxurious pool, exclusive cabanas, a creative food and craft beverage program and daily live entertainment. Oak Steakhouse Nashville, a Charleston import of the Indigo Road Restaurant Group, offers classic American fare with a southern twist and craft cocktails accompanied by live music; while the Decker & Dyer provides a more casual lounge and eatery in the hotel lobby. The Westin Nashville is situated around the city’s most iconic cultural, artistic and entertainment destinations enabling guests to enjoy Westin Weekends, with late checkout on Sundays and extended breakfast hours all weekend long. Just steps from the Country Music Hall of Fame and Museum, the Ryman Auditorium, the Nashville Predators’ Bridgestone Arena, and the Frist Centre for the Visual Arts, with both the Tennessee Titans’ Nissan Stadium and the Grand Ole Opry only a short drive away, The Westin Nashville puts the destination at the guests’ fingertips.